Game Description In this game, five grocery items are described to the contestant. The contestant is given 10 seconds to place the five grocery items into one of three categories. If the contestant is successful, then they win the full $20,000. If the contestant has miscategorized one or more of the grocery items, the $20,000 will begin to rapidly count down. As it does so, the contestant must rearrange the grocery items so that all five are categorized correctly- once they do, they win the remaining money displayed on the readout. 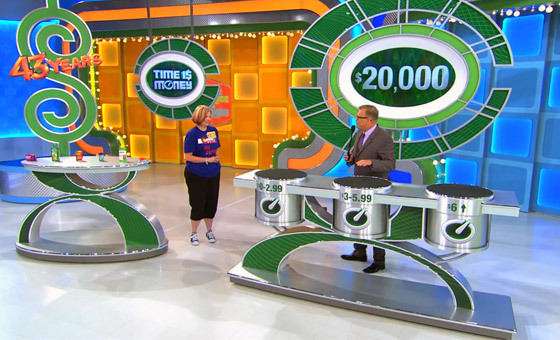 The game continues in this manner until the contestant has either categorized all five items correctly, thereby winning the money displayed; or the readout reaches $0, at which point the contestant wins nothing.